Many of the benefits surrounding allowing dogs in the workplace is related to employee engagement and retention. In a time where the labor market is so tight and employers are trying to recruit and retain the best and the brightest, making your office pet friendly may be something to consider. According to a study conducted by the Opinion Research Corporation, 37 percent of employees would sacrifice their vacation time or take a cut in pay to be able to bring their pet to work. 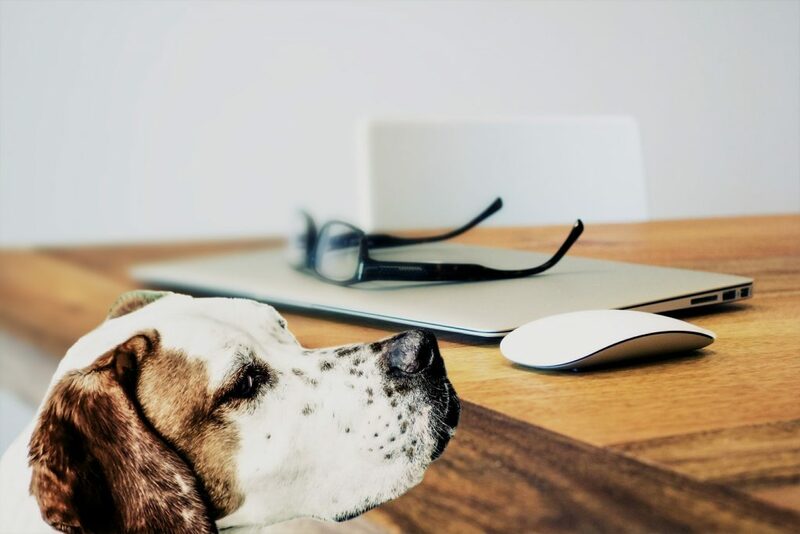 Moreover, 44 percent of survey respondents said they would consider leaving their current employer for one who offered a dog-friendly workplace, and 22 percent said they would be more productive with a dog in the office. Similarly, research published in the International Journal of Environmental Research and Public Health reveals that the presence of dogs in an office can provide social support to employees, help improve their performance, decrease their stress and increase their social interactions and well-being. Despite the many benefits of making your office dog friendly, there are some downsides to consider. Some employees may be allergic to or afraid of dogs and if you make your office dog friendly, those employees may be negatively affected. In some cases, some employees may consider leaving your company for one that is not dog friendly. Under the Americans with Disabilities Act (ADA), service animals must be allowed to accompany an employee with a disability, provided that the request doesn’t create an undue burden on an employer. If an employee is requesting to bring their service animal to work, please consult a legal professional for more information on accommodating this request. Before you open your doors to employees’ dogs, there are a few steps you need to take to ensure that it’s the right decision for your company and its employees. Create a policy. You need to carefully consider the details of your organization’s dog-friendly initiative before rolling it out. Things to think about include how often employees can bring their dogs to work, how many dogs an employee can bring to work, where the dogs will stay during the workday and how employees with allergies or fear of dogs can be accommodated. Your dog-friendly workplace policy should also outline behavior expectations and consequences if these expectations aren’t met. For example, your policy can dictate what happens if a dog bites an employee or another dog. It can also outline how employees can go about anonymously reporting distracting dogs. Having a policy in place protects you, your employees and their dogs and leaves no room for misinterpretation. Consult a legal professional for assistance with drafting such a policy. Making the decision to make your office dog friendly can be greatly beneficial to your employees, but it’s not right for every organization. For more information, please contact Bender Insurance Solutions today.